I was aware of David Chang’s popular cookbook, Momofuku, but it was Ben Rhau’s video on his You Fed a Baby Chili? 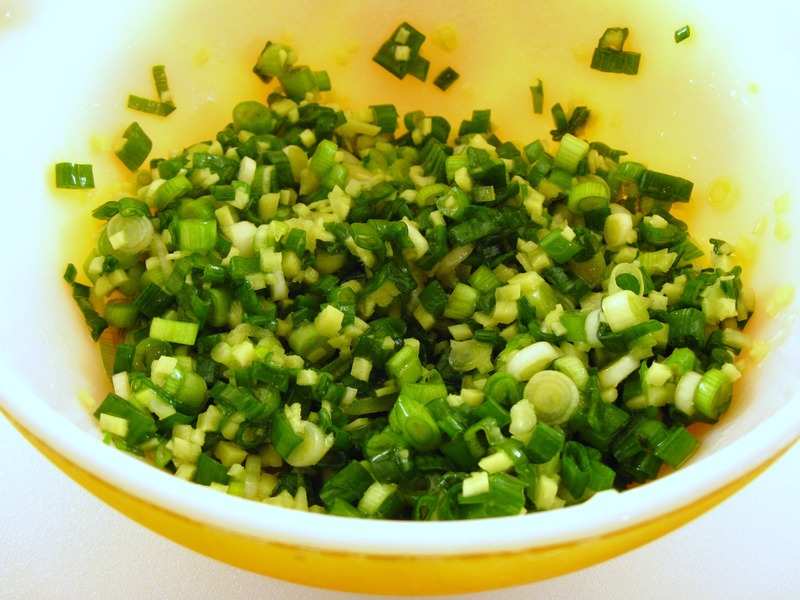 blog that introduced me to Chang’s Ginger Scallion Sauce. Ben made the sauce sound so amazing – I just had to try it! The recipe couldn’t be easier. 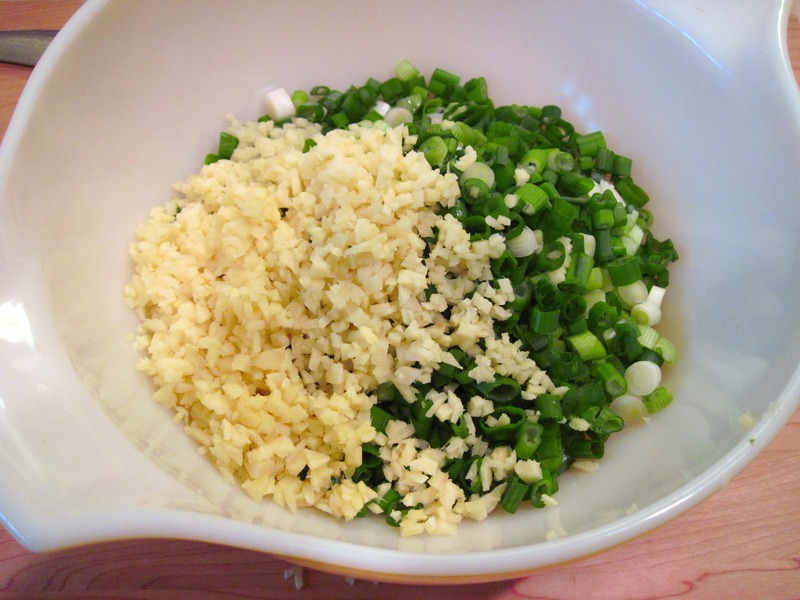 You simply combine scallions (green onions), fresh ginger, oil, soy sauce, and a bit of vinegar and salt. And that’s it! Ben said that Chang recommends letting it sit for 15 – 20 minutes before using it. I found that the leftover noodles were possibly even better the next day. I used fresh noodles that I got at a local Asian market, but you could use dried noodles, too. I couldn’t find the usukuchi sauce, so I substituted soy sauce. We first had this for lunch on Christmas Eve and I served it with a bit of Steeped Chicken. I made it again yesterday. It makes a great vegan dish on its own, or you can add vegetables or protein. This recipe is definitely a keeper! This sounds so delicious, and wouldn’t you know I have a whole bunch of green onions in my fridge that I’ve been wanting to use. 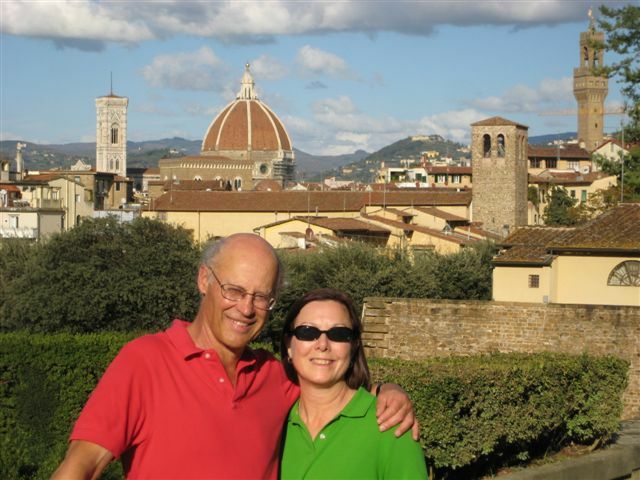 Thank you for you for sharing this yummy sauce, and thank you for your kind words on my blog. They mean so much! I’ve never tried making asian noodles, but I have been getting really into using asian seasonings for fish and tofu so this would be a wonderful next step. Your top photo is gorgeous!!! And these noodles sound amazing! This looks great! 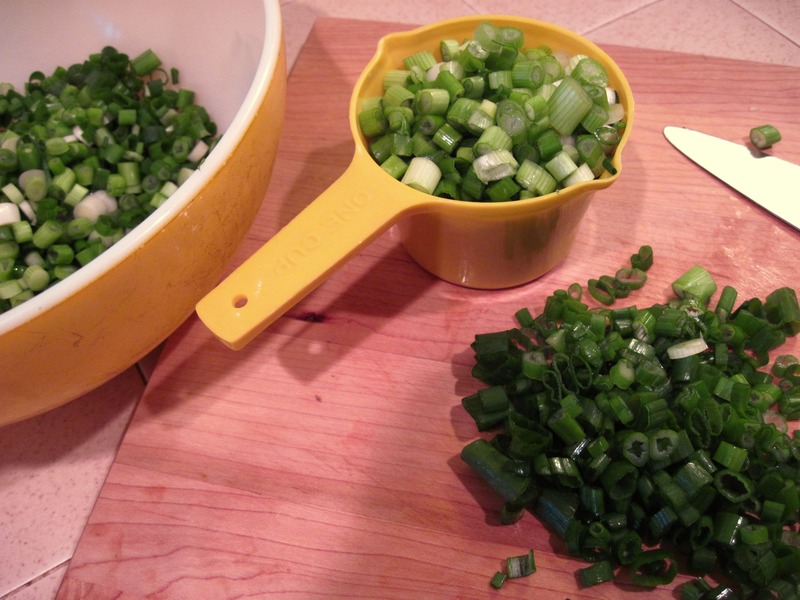 I don’t do scallions, but do you think it would work with a different type of onion? Well, it would be a really different dish, but you could try it with some other kind of mild onion. You’d probably want to use a lot less than 2½ cups. Let me know how it works if you try it! Oh wow does this look insanely delicious. I loooovee ginger so you know I just adore the sauce. 🙂 And I just love how it’s vegetarian too. I must make this. Omigod. This looks so yummy! I love gingery noodles. Thanks for posting! 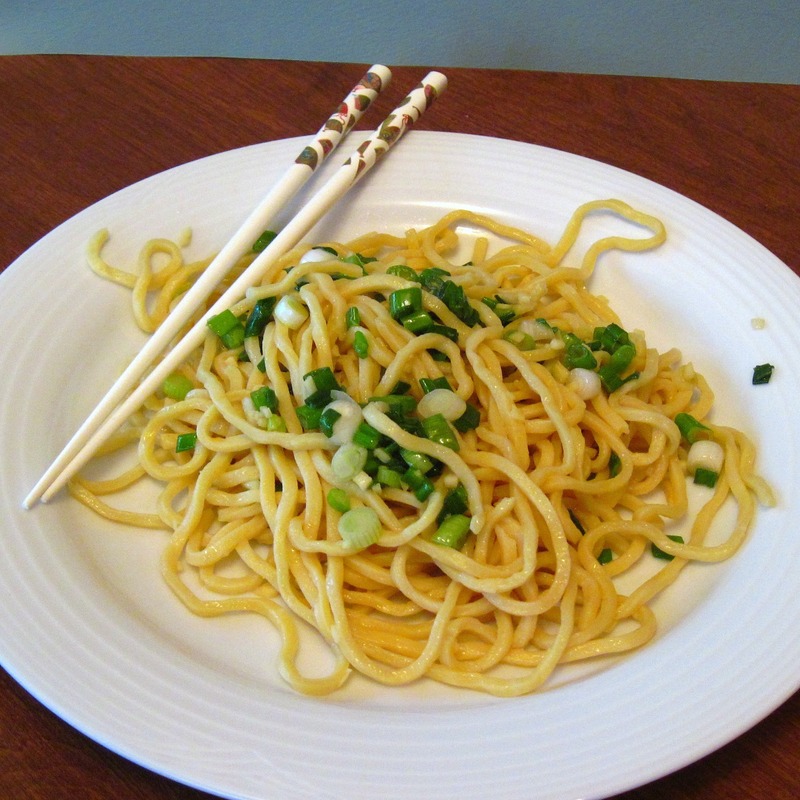 I love every type of noodle, the ginger and scallion sauce sound so easy and delicious! Thanks for sharing this great recipe with us!….I bet my girls would love it! This noodle dish sounds great! I love the simplicity of the sauce and I’m sure it’s fantastic! This looks amazingly simple and delicious! I can’t wait to make it! 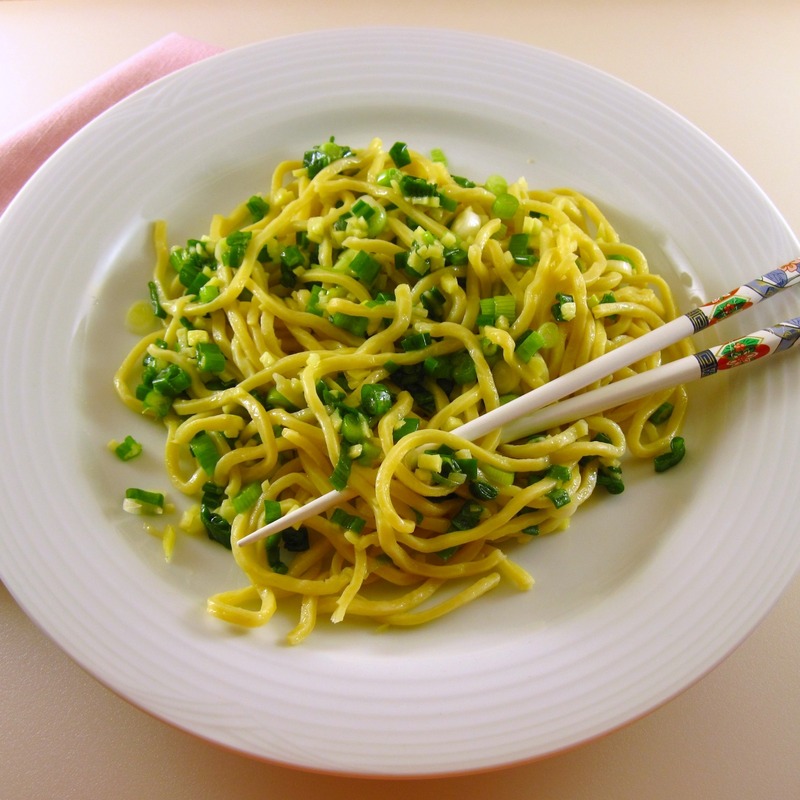 This looks like a great recipe and noodles go so well with all sorts of meat and veggies! So true! You really could pare them with all kinds of vegetables and/or meat! Sounds deliciously simple! 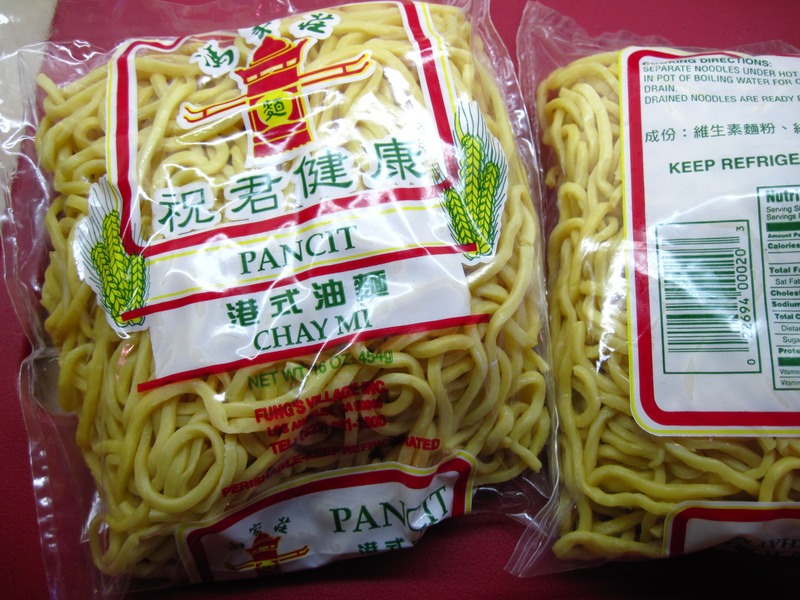 I love pancit noodles.. we use them all the time in Filipino dishes! Thanks for your comment, Evan! I just picked these noodles out of the vast assortment at my local Asian market because I thought they looked good. I didn’t realize they are Filipino; nice to know! Kath- This looks meal looks amazing. Thanks for posting! I have a lot of soba noodles in my cupboard, this might be a good way to use them up. These noodles and sauce look so good. I like that the recipe is quick and easy and you could serve it with chicken or fish. Your pictures are very good. I LOVE noodles like this! Although, I’ve never seen fresh noodles like that, I’ll have to look for them! 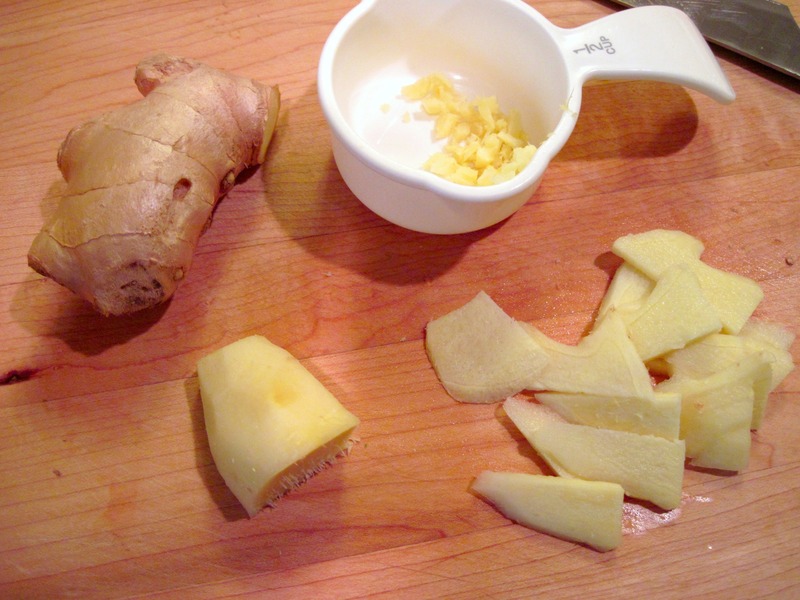 I just love the kick of ginger and noodles are an excellent way to get my attention! This sounds delicious! OMG This is my favorite! I had for dinner the other day. 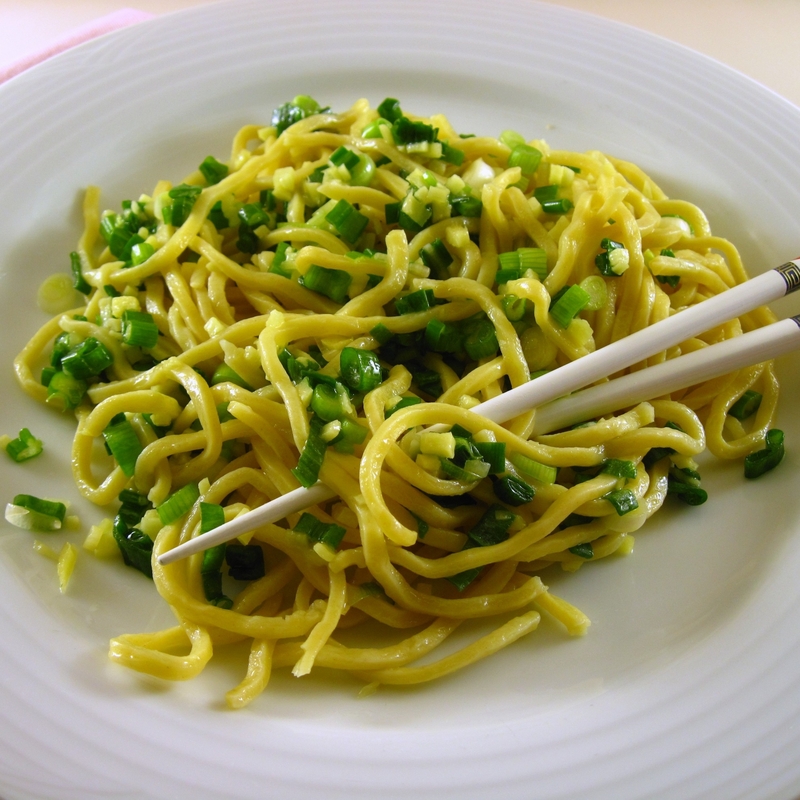 Check out my post on it if you have time here: http://shecooksandheeats.wordpress.com/2011/08/23/momofukus-ginger-scallion-noodles/. Is it really better the next day? The noodles aren’t soggy? I ate all of it and didn’t have leftovers lol.